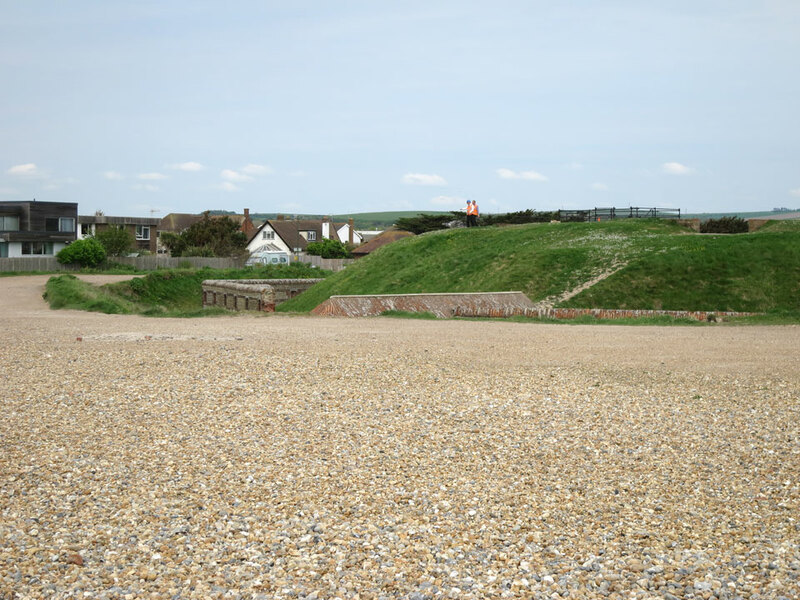 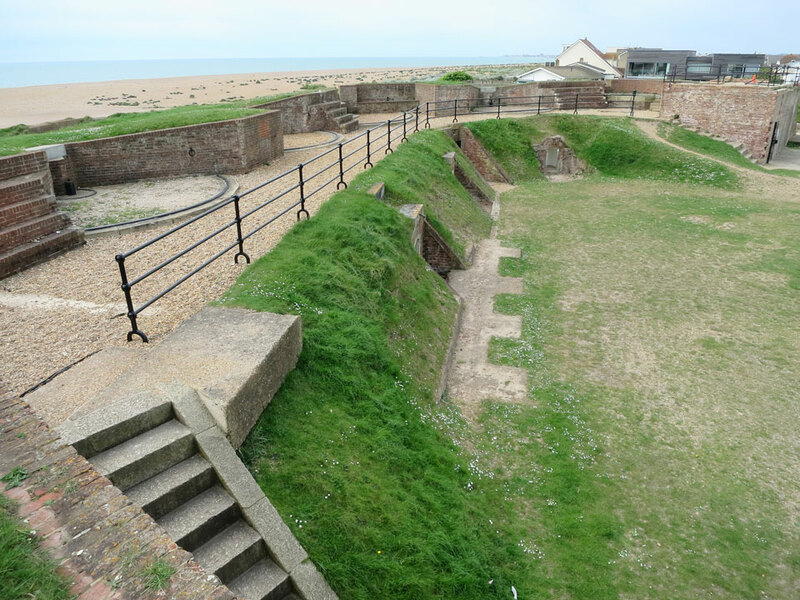 The fort, or Redoubt, was built in 1857 by Palmerston to protect Shoreham harbour. 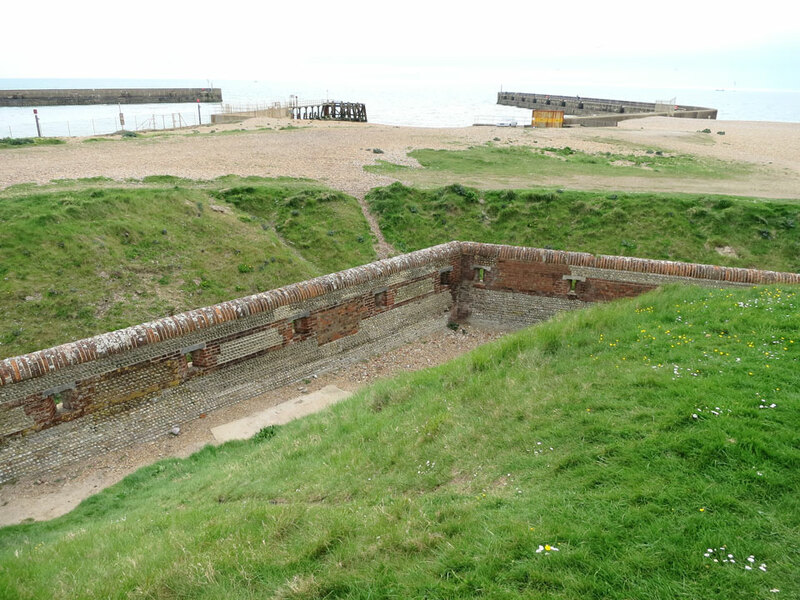 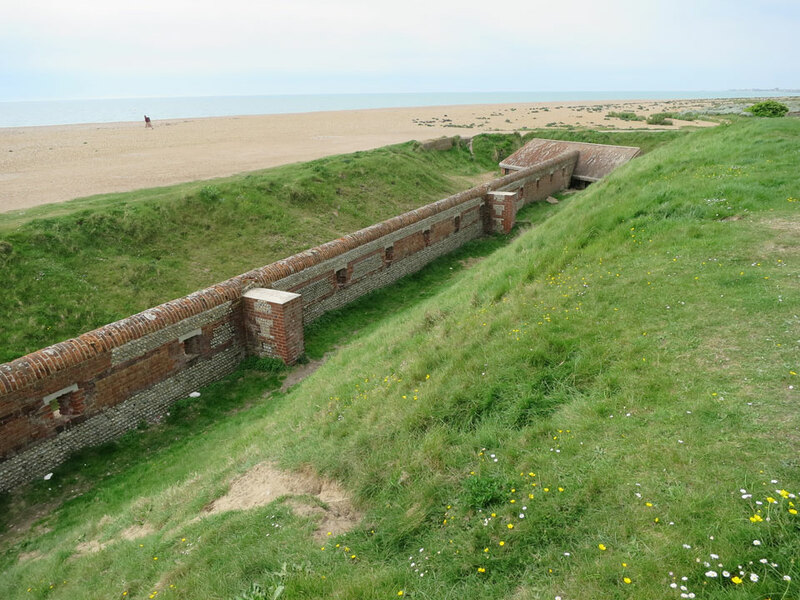 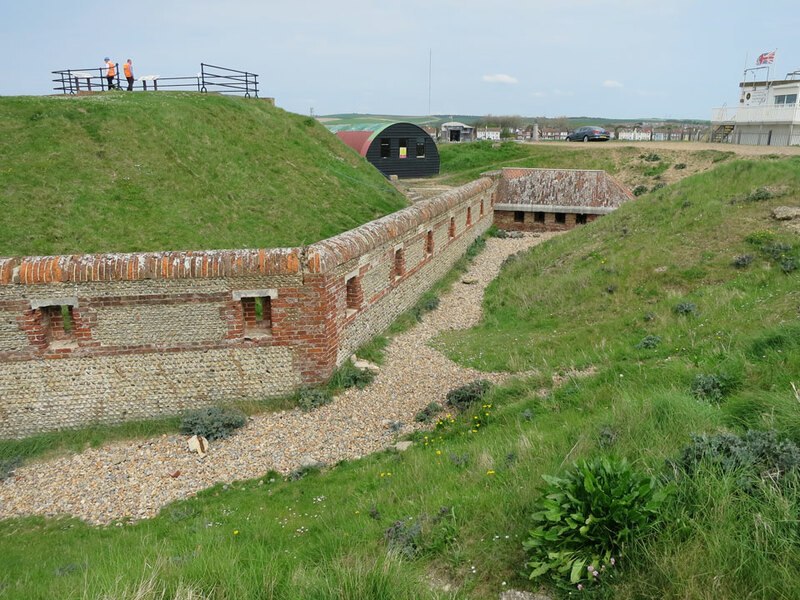 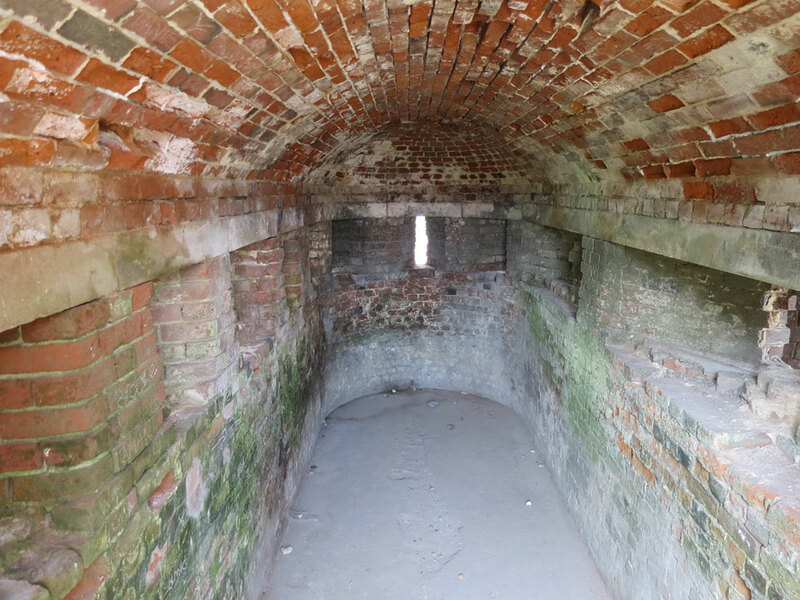 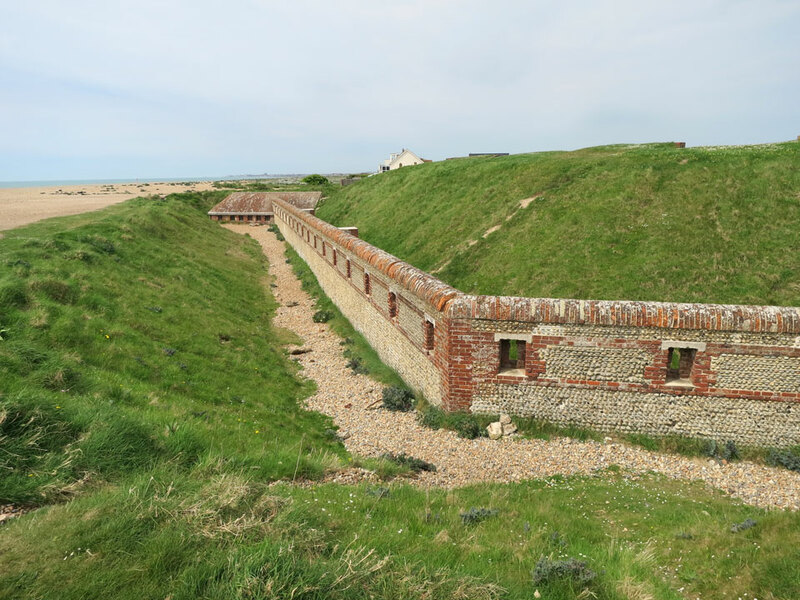 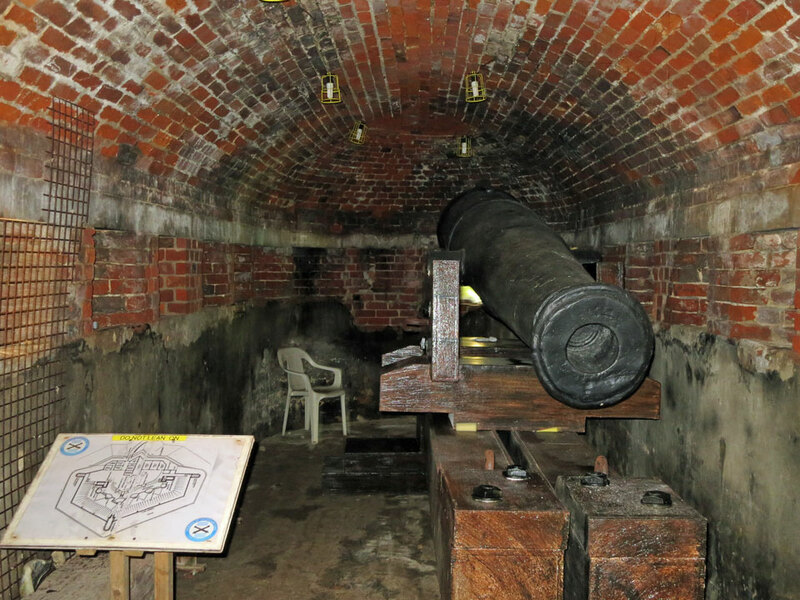 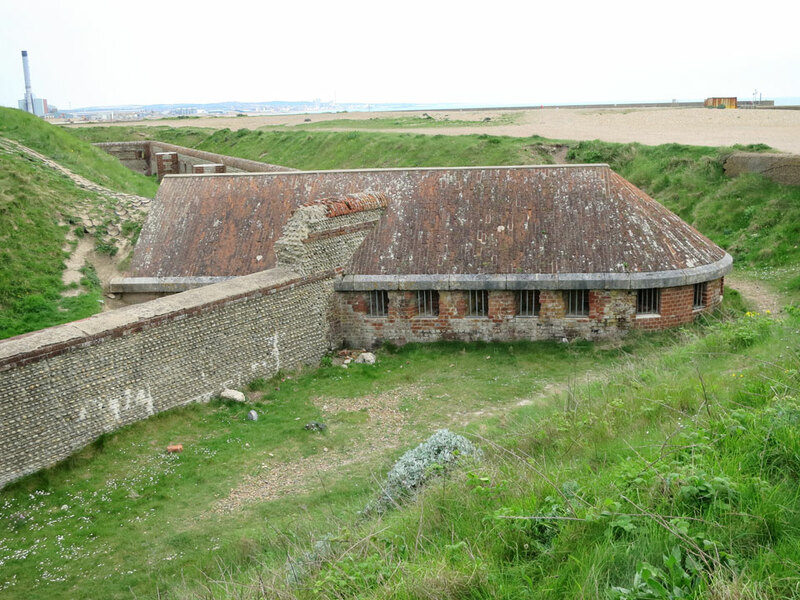 It used a similar design to that used a few years earlier at Littlehampton Fort, but the design was improved by the Caponiers being given brick roofs and the use of six 68 pound smooth bore guns on the earth rampart behind the Carnot wall. 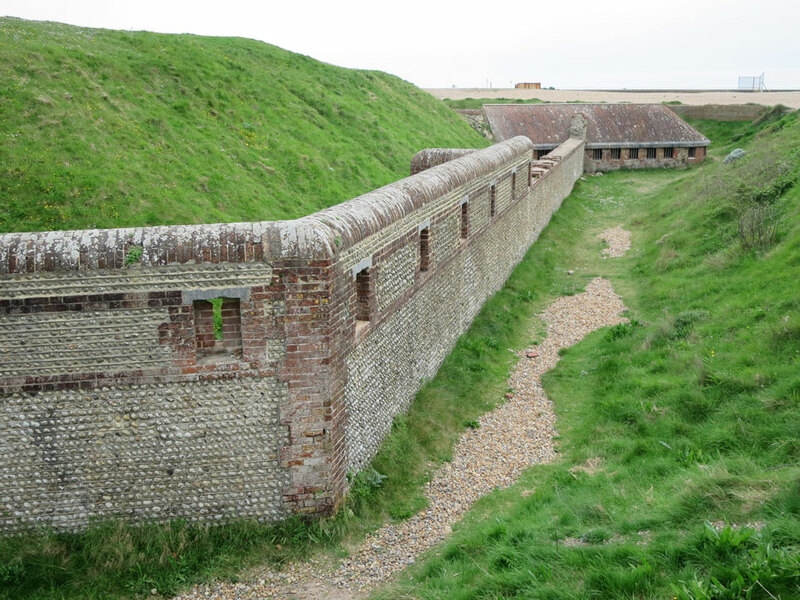 The 2 magazines were buried under the earth ramparts for extra protection. 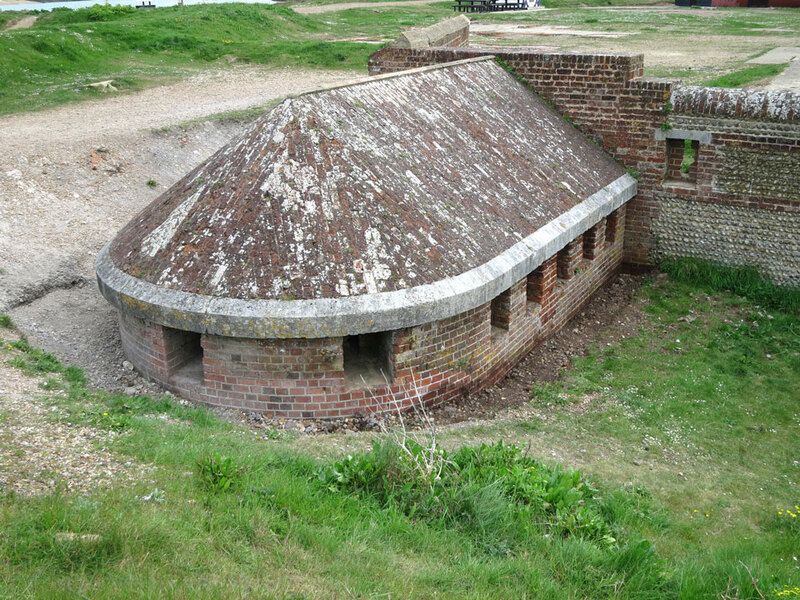 It was in use until the end of the 19th century but an anti aircraft gun was added in WW2. 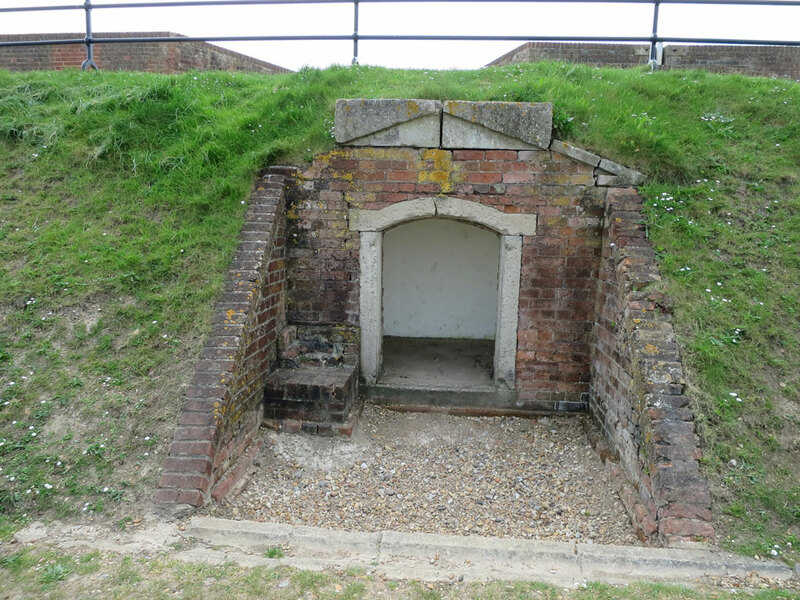 For further information visit Gary Baines Shoreham Fort site. 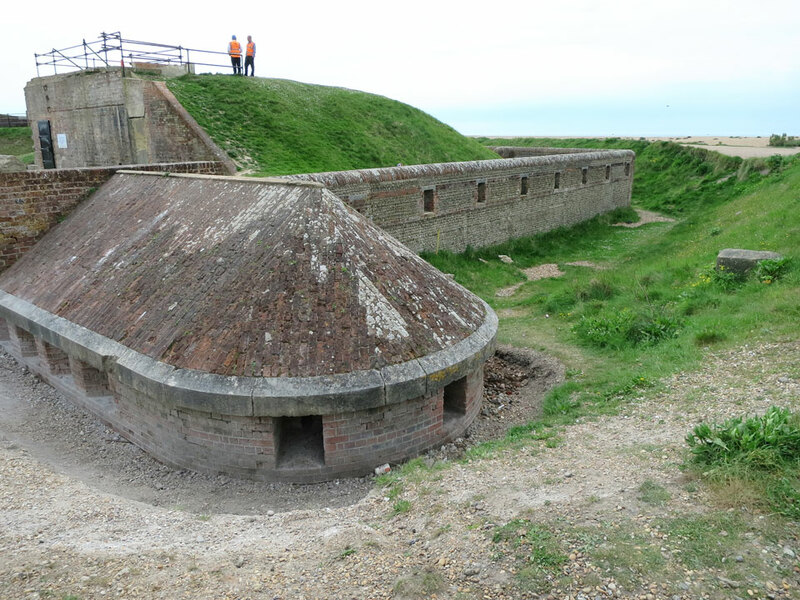 The fort is being restored by volunteers and is open twice month to visitors.